February is a special month. Not only is it the month of love (Happy Valentine's lovelies! ♥ ♥ ) but it's also the last month of winter! 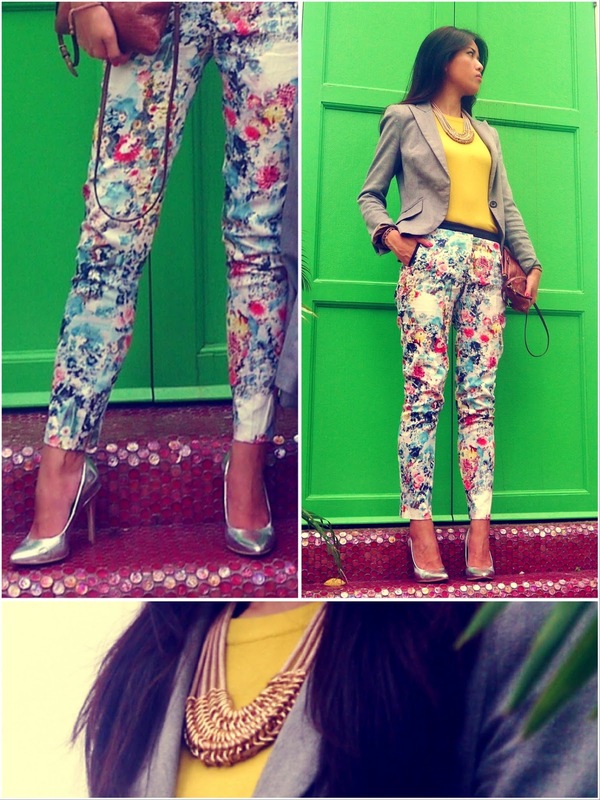 What better way to bring Spring that little bit closer than to wear florals - don't be shy, wear them loudly and proudly! 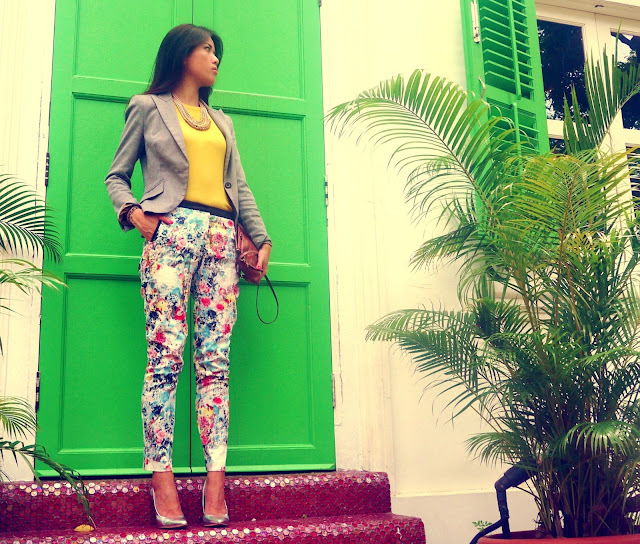 Floral trousers - H&M, Blazer - Zara, Shoes - Bershka, Clutch - Miu Miu, Top - Sixties.